We lift the cylinder head on Toyota’s mighty 2JZ-GTE to learn exactly what makes this the king of JDM engines. 1. When was it built? The 2JZ-GTE debuted in the 1991 Toyota Aristo V (JZS147). The 2JZ drivetrain later found it’s home in Toyota’s flagship Supra RZ. 2. What is the displacement? The 2JZ-GTE displaces 2,997 cubic centimetres. 3. What is the engine configuration? The 2JZ-GTE uses an inline six-cylinder engine configuration. 5. Is it turbo-charged? Yes. The domestic 2JZ-GTE was paired with twin Hitachi CT20 turbine units. Export specification engines were upgraded with a pair of Hitachi CT12B turbine units These upgraded units featured more durable turbine housings and improved internals. 7. What are the cylinder head features? DOHC (Dual Over Head Cams), 24 valves (4 valves per cylinder), on later revisions it featured a Variable Valve Timing and Intake system (VVT-I). 10. What cars housed this engine? Toyota Aristo 3.0V JZS147 (JDM), Toyota Aristo V300 JZS161 (JDM), Toyota Supra RZ/Turbo JZA80. 11. How tuneable is the stock engine? The 2JZ-GTE is highly tuneable, the stock bottom end is robust up to 800 PS without modifications. 12. What do engine tuners think of it? The 3 liter displacement allows tuners to run large turbo applications without extensive turbo lag. This coupled with bullet proof over engineering from the factory means basic breathing mods will yield 3-400 PS while turbine upgrades with supporting modifications will shoot power towards the 500 PS mark and beyond. 13. Does it have “cool” factor? The 2JZ is one of, if not, the most desirable JDM engine on the market. 14. How does it sound? A large displacement, inline straight six breathing through two turbos means the 2JZ sounds fantastic. Buttery smooth and sonorous, it has to be one of the best sounding engines to come out of Japan. 15. Are replacement parts hard to source? The booming aftermaket 2JZ-GTE industry means that spare parts and upgrade parts are easily sourced. Enjuku Racing in the states, Nengun in Asia and JDM Garage in the UK all stock 2JZ parts. So now you know the 2JZ-GTE specs inside and out why not check out how it performs in a head to head battle against it’s small brother – 1JZ vs 2JZ. Check out this 2JZ-GTE in action..
High power Supra video compilation. 2,000 PS+ 2JZ’s. Hit play. Toyota vs Nissan. 2JZ vs RB26. 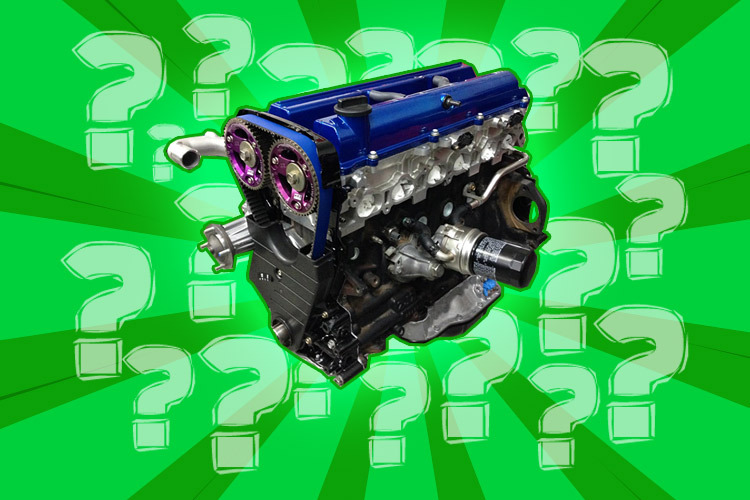 Which of these two JDM tuning icons comes out on top when pitched against the other? Let’s find out. All this talk of JZ’s makes me think of our new Supra hoodie..